Diana's friendly demeanour, impeccable service, and helpful tourist information from her travels to 115 countries have earned her a well established reputation among visitors. Diana's fresh coffee with breakfast and the seasonal fruits will start your day off right with a happy note. 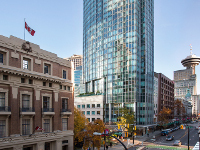 In each room, we provide, for the use of all of our guests, a copy of our TreeHouse Bed and Breakfast Best of Vancouver Self-Guided Auto Circle Tour that is an organized driving tour of many of the following attractions and more including some city secrets. 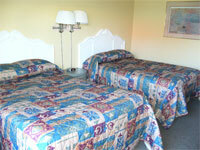 Looking for a bed and breakfast in Vancouver? Check out what Vancouver Traveller has to offer, which includes comfortable rooms with queen size beds and ensuite or private baths and a suite ideal for a vacation rental. 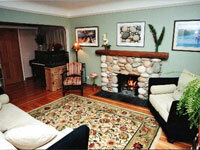 This recently renovated home is clean and quiet with friendly hosts, who make your comfort their top concern. 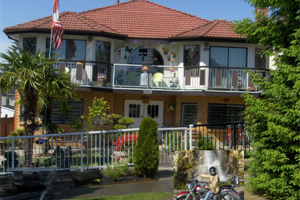 You will find this Vancouver bed and breakfast to be your home away from home. 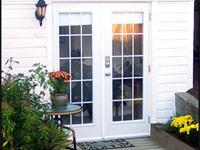 Looking for the privacy and freedom of Vancouver self-catered accommodation? Then check out The AFT Cabin. 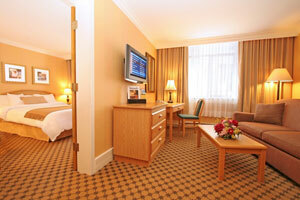 A fully equipped guest residence in a central Uptown Vancouver location with reasonable rates. The AFT Cabin is a warm, cozy and immaculate free-standing 1 bedroom urban cottage suitable for short-term or extended stay. The AFT Cabin provides you with all the comforts of home and is yours to make your home base whether for a few days, a week, a month or more. 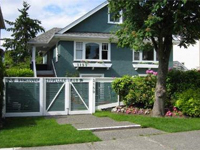 The Arbutus House Bed and Breakfast in Vancouver is your doorway to fine Vancouver BC bed and breakfast accommodations and your source for complete tourist travel information on the Greater Vancouver area. Be sure to check out our Vancouver attractions pages for a complete visitors guide to information on Vancouver's main attractions, restaurants, beaches, parks, gardens, nightlife, shopping areas, complete with maps and suggestions for day trips from the Vancouver area. 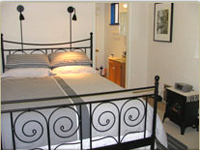 A welcoming place to Bed & Breakfast in Vancouver Canada. Located in the Terminal City Tower and situated in the heart of downtown Vancouver, our luxury boutique hotel offers lodging and accommodations within easy walking distance of the Vancouver Convention Centre, Canada Place Cruise Ship Terminal, Stanley Park, Vancouver Aquarium, historic Gastown, trendy Yaletown and Robson Street, shopping, galleries and the theatre. 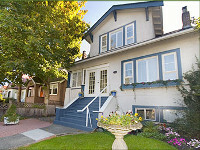 The Auld Dublin Guest House Vancouver Bed and Breakfast is very easy to find, located a half block off Oak Street, which becomes Highway 99 to the USA. Bus transportation is very close by and there is plenty of free street parking. You will find us on a very quiet street lined with cherry blossom trees despite being very close to Oak Street, a main thoroughfare which connects the Auld Dublin bed and breakfast to all amenities.